LOL. Ok, first off, I am not asking anyone to send / give me money for this. 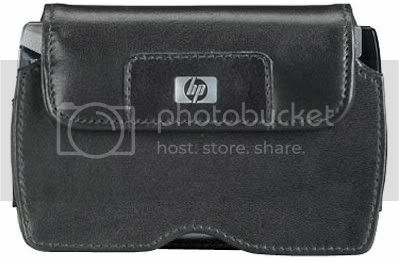 I was looking around HP's website today, and looked at accesories for my HP Ipaq hx2415 PDA. One of them was this really nifty Leather Belt Case. I may get this, cus it would be nice to have my PDA with me, but there are times where I do not want to carry around my whole PDA case thing I have. It is 49.99 and they do make a 29.99 version, which is a whole other option if I really am feeling cheap. 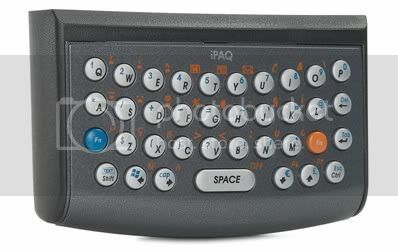 Also, something I have been planning on buying since I got my new pda is a keyboard for it. I have found the one I like, a thumb keyboard , and really I just need to buy it, but have not gotten around to that yet. It too is also 49.99. I like this one, cus it attaches to the bottom of my PDA, and can just be there. No wires. No Mess. It's just there, which is why I like it. Plus, I can detach it if I want or need too. I will update later, but I need to jump into Autocad and do somethings for one of our guys.